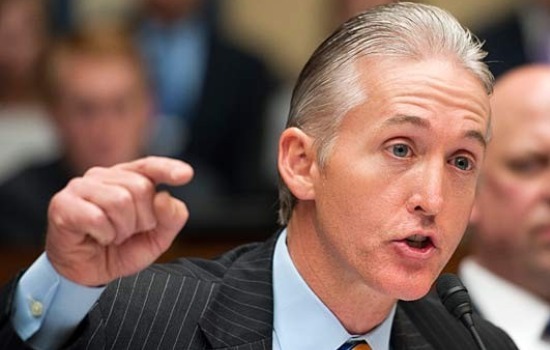 Trey Gowdy has endorsed Marco Rubio for president of the United States. Gowdy is chairman of the House Select Benghazi Committee. He keeps saying he isn’t driven by political motives, seeking to harm former Secretary of State Hillary Clinton’s quest to become the next president. Clinton, of course, ran the State Department when the terrorists stormed the U.S. consulate in Benghazi, Libya on Sept. 11, 2012. But wait. Rubio is seeking the Republican presidential nomination. Gowdy’s also a Republican. Clinton is a Democrat. Is Gowdy motivated by politics? Democrats are asking that question in the wake of Gowdy’s endorsement of his buddy Rubio. I think it’s fair to ask why Gowdy chose to endorse a Republican candidate so early in the nominating process. It’s also fair to wonder whether the chairman has developed a political tin ear to how this kind of endorsement might look to those who have been wondering all along whether the Benghazi hearings were tainted by more than just a touch with politics. All those congressional hearings and the many hours of testimony have failed to prove a coverup by Clinton, as has been alleged by Republicans … including, by the way, Sen. Marco Rubio, Chairman Gowdy’s preferred choice for president of the United States. Donald Trump said recently that he intends to respond to negative attacks and added — somewhat incredulously, in my view — that he’s not one to initiate a negative campaign. Interesting, yes? Well, I think so. He’s been pretty darn negative ever since he announced his Republican presidential candidacy. He took it to a new level when he said that likely Democratic nominee Hillary Rodham Clinton’s husband, Bill Clinton, has demonstrated a worse record regarding women that Trump has. Hillary Clinton had accused Trump of being hyper-sexist in his outlook toward women. So, Trump decided to bring up President Clinton’s relationship with a young White House intern. He vows to make an example of the former president. Well, my thoughts turned to a former Texas congressman I used to know quite well. The late Democratic U.S. Rep. Charles Wilson used to say much the same thing about negative campaigning. He once told me he’d never start a negative campaign, but would be always be prepared to respond if an opponent decided to get nasty. A candidate once did get quite nasty during the 1992 campaign, criticizing Wilson’s lifestyle — including his self-acknowledged affection for attractive women. She aired TV ads while running against Wilson for the East Texas congressional district he’d represented since 1973. The ads were highly critical of Wilson’s “Good Time Charlie” reputation. What happened next remains a bit of a mystery. An audiotape showed up at the newspaper where I worked at the time; it contained a heated — and profanity-laced — conversation between the Republican challenger and her married campaign treasurer. The two of them discussed their own extramarital affair, with the candidate demanding that her lover leave his wife for her. Wilson, who at the time served on the House Select Intelligence Committee, denied having anything to do with the tape. I couldn’t prove otherwise. The difference between that example and the one that Trump is threatening to use is that the candidate who challenged Wilson was an active politician, while the former president that Trump threatens to drag into the campaign hasn’t been a full-time politician since his presidency ended in January 2001. Somehow, I believe Charlie Wilson would laugh at what Trump is pledging to do to a potential political rival. Is it the end of the line for Cosby? 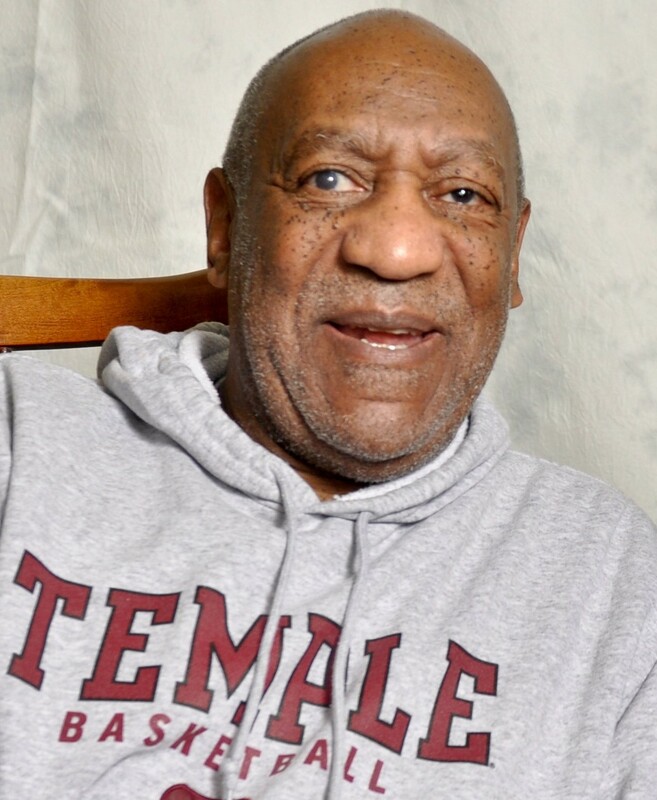 Andrea Constand says Bill Cosby sexually assaulted her. The alleged crime, though, occurred a long time ago. Ten years ago, to be exact. The authorities have arrested the iconic comedian/actor/social commentator and he posted bond on $1 million bail. It’s looking like the end of the line for Cosby. His public image is in shambles. Universities that bestowed honorary doctoral degrees have pulled them back. The allegations from Constand and seemingly countless other women have ravaged Cosby’s once-stellar reputation as a role model. He was seen as the consummate family man. He portrayed one on a long-running television show, blazing trails for other African-American entertainers in the process. Then came the accusations from women that he drugged them, forced himself on them without their consent. These allegations are troubling — and disgusting — in the extreme. It’s fair to ask one simple question of Andrea Constand and perhaps all the others: Why did you wait so many years before leveling these horrendous charges? It is the delay in coming forward that troubles me to a large extent, although not to the extent that the allegations themselves have troubled me. If any of these cases ever get heard in a courtroom, I am quite sure an inquisitive public will hear plenty of reasons why these women waited so long. SAN MARCOS, Texas — The drive from north of Dallas to just south of the state’s capital city went virtually without a hitch. Until we got to Austin. We spent four glorious days in Allen with our granddaughter Emma, her parents and her brothers. Then we headed south for some more Christmas vacation time. In the next day or so we’ll gather with our nieces, one of our niece’s husband, our two great-nieces and my wife’s brother. I intend fully to avoid Austin on the way home. Coming through the city this afternoon was no picnic. Don’t misunderstand: We had no mishaps. We didn’t come to a complete stop at any point on our journey through what’s known in Texas as “The People’s Republic of Austin”; hey, this last Lone Star bastion of liberal politics needs a term of endearment. But it was around 2 p.m. as we entered the city. It’s the week between Christmas and New Year’s Day. The traffic isn’t supposed to be this clogged; aren’t many millions of Americans supposed to be taking some time off — at home? I’ve concluded that Austin needs another interstate highway, an east-west thoroughfare to take some of the stress off that demolition derby track aka Interstate 35. 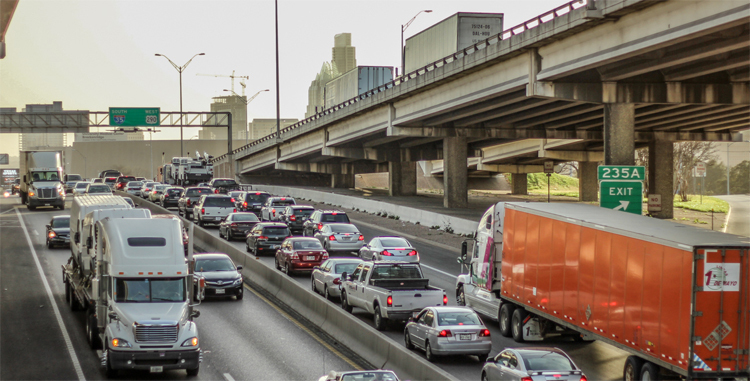 I read somewhere not long ago that Austin (population that exceeds 800,000 residents) is the largest city in America with just a single interstate highway coarsing through it. I-35 runs north-and-south through the city. There ain’t one that runs perpendicular through Austin, which as most of us know is going through some serious growing pains. Everyone seems to want to live there. Even though Austin is enduring this growth spurt and with traffic bound to get only worse as more people migrate there, the city is faced with this political reality: It is a Democratic bastion in a heavily Republican state; what’s more, Congress is controlled by Republicans, which would seem to make it problematic if the city hopes to acquire federal highway money to route an interstate highway spur through Austin. Infrastructure improvements — you know, highways and other things like that — used to be above and beyond politics. That was then, which of course bears little resemblance to the here and now. Ethan Couch is in custody … again. 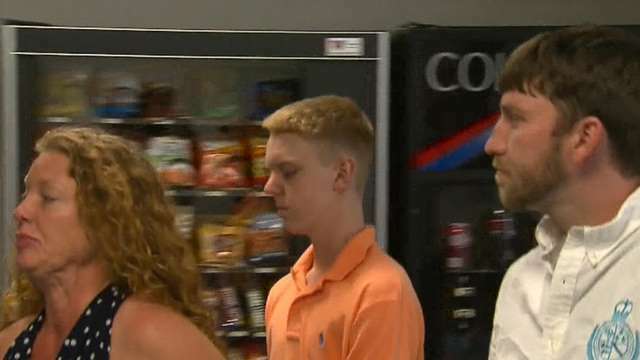 The so-called “Affluenza Teen” has been found in Mexico, where authorities are preparing to send him back to Texas. Why the big deal? This is the nimrod who piled into a pickup in 2013 — when he was 16 years of age — and while roaring drunk plowed his vehicle into another vehicle, killing four people. The kid got 10 years probation largely on the testimony of a shrink who blamed his ghastly behavior on the upbringing he received from his wealthy Fort Worth parents. Thus, the term “affluenza” was born. Then the kid — who’s now 18 — was seen taking part in a drinking game in violation of his probation; and after that, the kid failed to report to his probation officer. Can’t do that, young man. So, Mom and Ethan went on the lam, ending up on the Mexican Riviera before the cops found them. Texas law limits the amount of time Ethan can serve in jail; he faces a maximum of 120 days in the slammer. Mom, though, ought to spend some serious time in The Joint. What’s so ironic about all of this is that the “affluenza defense” has taken an odd turn toward validity. Ethan Couch never should have been too drunk to drive. Did his parents enable his terrible behavior? It seems that Mommy Couch’s accompanying her little pride and joy to another nation suggests that she truly has enabled Ethan’s criminal activity. She deserves some hard time if a Texas court convicts her of aiding in her son’s flight from the law. Is Bill Clinton on the ’16 ballot? 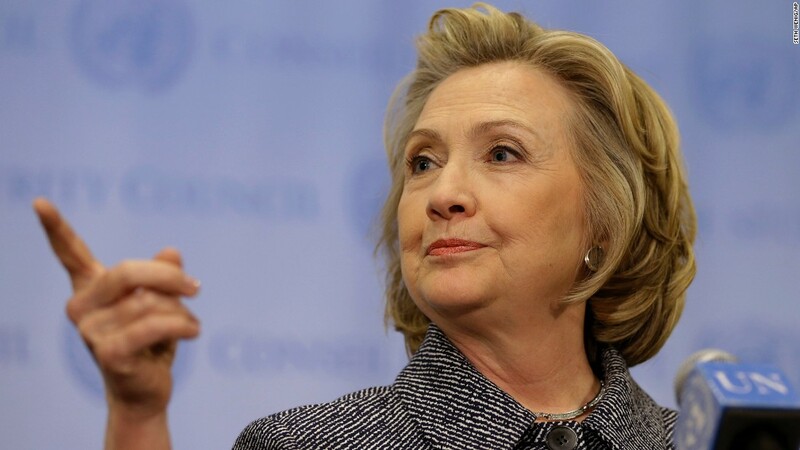 Hillary Rodham Clinton says Donald Trump reveals a sexist attitude toward women. Trump responds by saying that Clinton’s husband, the 42nd president of the United States, has demonstrated an equally horrible attitude toward women. Hillary Clinton and Donald Trump might be facing each other in the 2016 general election, which makes Trump’s view of women relevant. Trump’s retort about Bill Clinton? Well, is that relevant? It would be if the former president was on the ballot. He’s not. And that begs the question. Why is Trump bringing up the former president’s well-chronicled, heavily reported, much-discussed and debated inappropriate relationship with that young White House intern? In my view, it’s an attempt at political diversion from the issue at hand, which is whether the current leading Republican presidential candidate really holds sexist views. I am fully aware of former President Clinton’s history. Yes, I also know of the allegations of other extramarital relationships. However, the man ain’t on the ballot. His wife wants to be the next president. Furthermore, his wife has raised the issue of a potential opponent’s fitness for the job they both want. John Ellis Bush, aka Jeb, is trying to goad Donald Trump into making more stupid pronouncements. 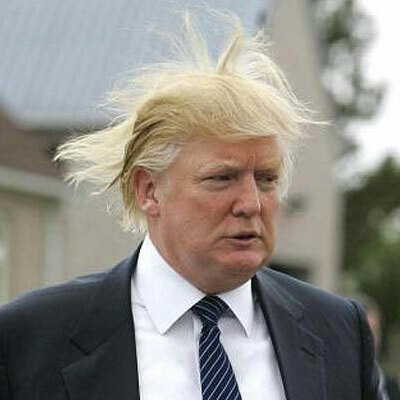 To be honest, I might be one of the few Americans, let alone non-Republicans, pulling for Jeb to get Trump’s goat. Jeb wants Trump one-on-one, in a debate. Just the two of ’em. Man to man. It won’t happen, of course, given federal election rules that prohibit the exclusion of other declared presidential candidates. Jeb, though, is trying to inject some of the energy that Trump has said is missing from his campaign. Why am I pulling for Jeb? OK, a couple of reasons. One is that I long have admired the man’s family and its history of public service to the country. I point specifically to his grandfather, the late Sen. Prescott Bush, and — of course — his dad, the 41st president of the United States, George H.W. Bush. Daddy Bush — known as Poppy to his family — in my view was the most qualified man ever to serve as president. He brought a stellar public service resume to the White House. The second reason is that while I didn’t vote for older brother George W. for any public office — as Texas governor or as president — I happen to like him personally. I’ve met the 43rd president on three occasions: once on an elevator in New Orleans during the 1988 GOP presidential convention; in a lengthy 1995 interview in Austin not many months after he became governor; and in 1998 when I interviewed him in Amarillo while he was seeking re-election as governor. My face-to-face contact with George W. Bush persuaded me beyond a doubt that he got a bum rap from those who accused him being a dim bulb. Bush proved to be an amazingly quick study as governor. 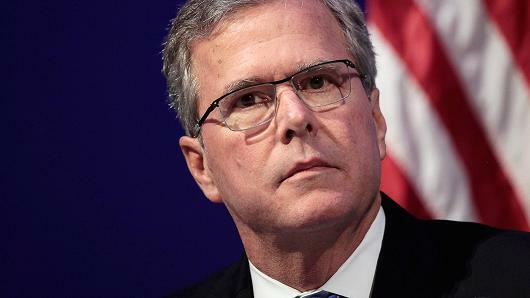 Will the younger Bush be able to energize his moribund campaign? I hope he does and I also hope he’s able to knock Donald J. Trump down a peg or four along the way. I am not going to predict it will happen, but my version of hope does spring eternal. That was a nice break from the presidential political campaign. High Plains Blogger has been pretty quiet for the past few weeks on the goings-on related to the Democratic and Republican campaigns for the White House. The intent was to stay quiet during the Christmas holiday. I had given thought to maintaining the moratorium through New Years Day. I admit it: I can’t do it. So, I’ll be getting back in the game. The Iowa caucuses are coming up, followed quickly by the New Hampshire primary. Donald J. Trump continues to lead the GOP pack, although for the life of me I remain baffled to the max as to what’s going on with Republican voters. I keep hearing and reading things about how Trump has changed the rules of the campaign. How he’s rewriting the playbook. The more offensive he is toward his primary foes, the better it goes for the guy. I thought he was toast at the very beginning when he denigrated Sen. John McCain’s heroic service during the Vietnam War. Good grief, the list of insults has grown beyond my ability to remember them all. But … by golly he remains at the top of the heap. The Democrats? It’s still Hillary Clinton’s contest to lose (although I’ve never quite understood that phrase; I’ll just use it anyway, because it’s what pundits keep saying). 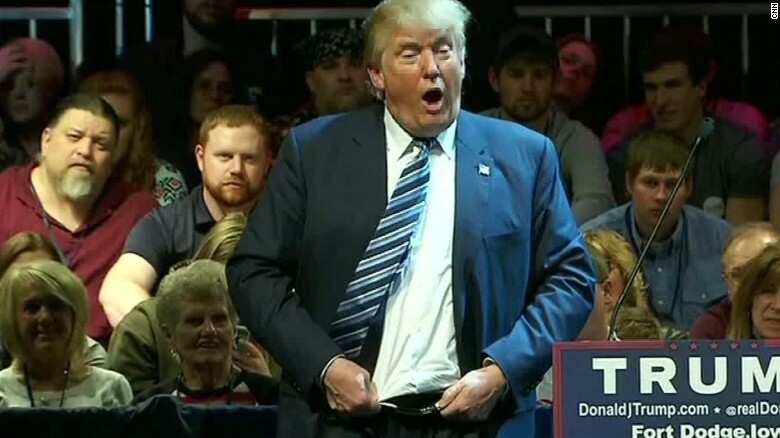 I’m going to be watching and waiting for Trump to say the one thing that sends his campaign into the crapper. It might not be a single utterance, though, that dooms his weird campaign. It might be an accumulation of things that will dawn on GOP primary voters when they finally get the chance to cast actual ballots. They’ll need to ask: Is this the guy we really and truly want to nominate to become the 45th president of the United States of America? If it’s going to be Trump, well, as Hillary Clinton herself as said: Fasten your seatbelts. Suffice to say this has been a most interesting Christmas weekend. We piled into our pickup Christmas morning and headed to the Dallas-Fort Worth Metroplex. Our granddaughter, Emma, awaited us. We discovered right away that it’s really quite a treat to drive any distance on the morning of this holy day. Why? We were among the very few who were hitting the road. We pulled our fifth wheel and arrived in Allen, Texas about 30 minutes ahead of schedule. We exchanged Christmas gifts with Emma and her parents. We laughed and hugged on our precious little pumpkin. We awoke this morning. We ran some errands; I purchased a new computer with my son’s help and returned to his home. My wife, daughter-in-law and granddaughter went on a shopping spree of their own. The rain came. The wind blew. Then the tornado sirens began screaming. 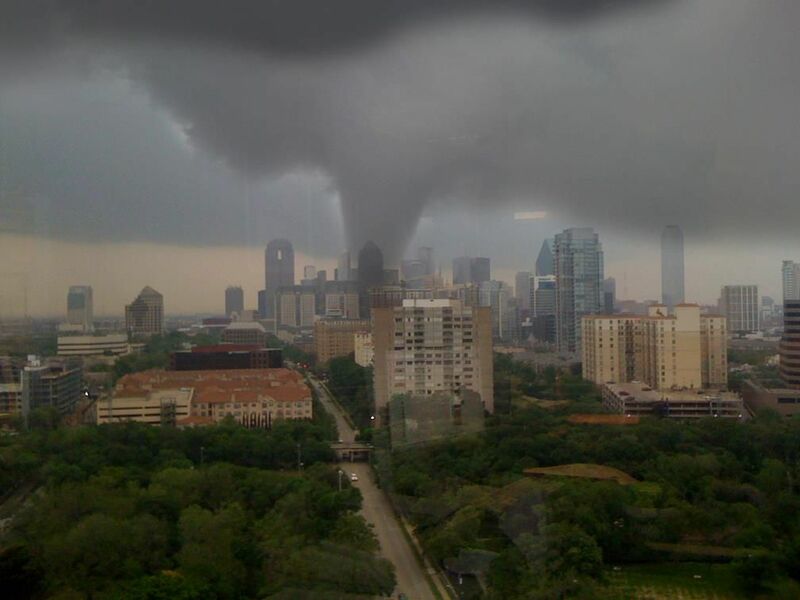 The TV weather guys were all over the story of a storm that ravaged the entire greater Dallas area. We didn’t experience any damage in the neighborhood where Emma lives with our son, daughter-in-law and her two brothers. But the twisters were close. Wylie? Hammered. De Soto? Pounded. Garland, Ellis County and Rockwall? More of the same. As I write this brief blog post, eight people have died in just the past three hours. Three died in a Garland gasoline service station that was pulverized by a tornado. The worst of the storms has swept on by. We’re still standing, breathing a major sigh. My wife and I have known for a very long time how blessed we are in so many ways. Our hearts are broken for those who have lost so much on this evening, the day after Christmas. Still, tonight we feel especially blessed … and thankful. 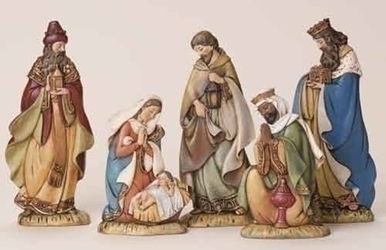 Of course a Nativity Scene at this time of year is going to fill one with the spirit of this holy season. But consider what some staffers at the Children’s Home right here in Amarillo discovered. Someone phoned the Children’s Home office and told the office staff to go outside and look under the “baby Jesus” laying in the scene on the home grounds. So … they did. The staff discovered a $50,000 check given by someone who wants to remain anonymous. Is there a better example to be found to take note of this holiday? My wife and I have spent some time with the children who live at the home. As Darrin Murphy, who runs the Children’s Home, told Fox News’s Gretchen Carlson, the children “come from tough backgrounds.” Brother, do they ever. We have heard stories from the kids themselves about unspeakable brutalization at home. I won’t go into detail here, but suffice to say that many of these children endure hardships we wouldn’t wish on any human being. Whoever the donor is recognizes the terrible circumstances these children have endured, Murphy said to Carlson. This, indeed, very much is the season of giving. Someone out there has taken the giving spirit to heart … and it must be an immense heart at that. The Children’s Home has just been brightened by a donor moved to help children who’ve lived through untold hardship. All I’m left to say simply is: Wow!